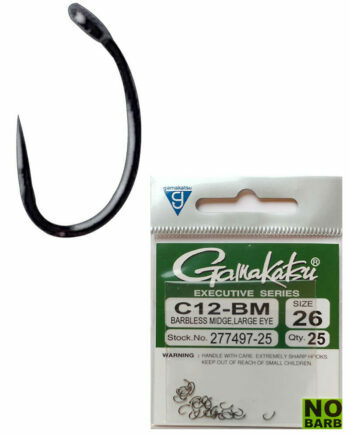 Gamakatsu’s R18-B reflects the very latest in fly hook technology. 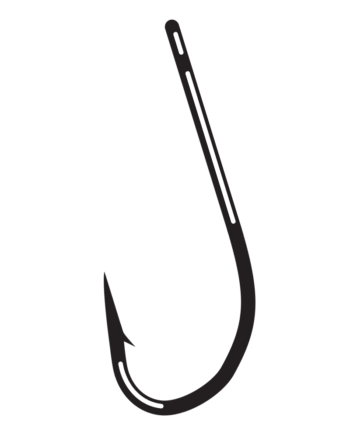 At a glance you’ll notice this barbless hook is different. The matte finish is Nano Smooth Coat, a coating that is slick, virtually frictionless and reduces resistance which enhances hook penetration. 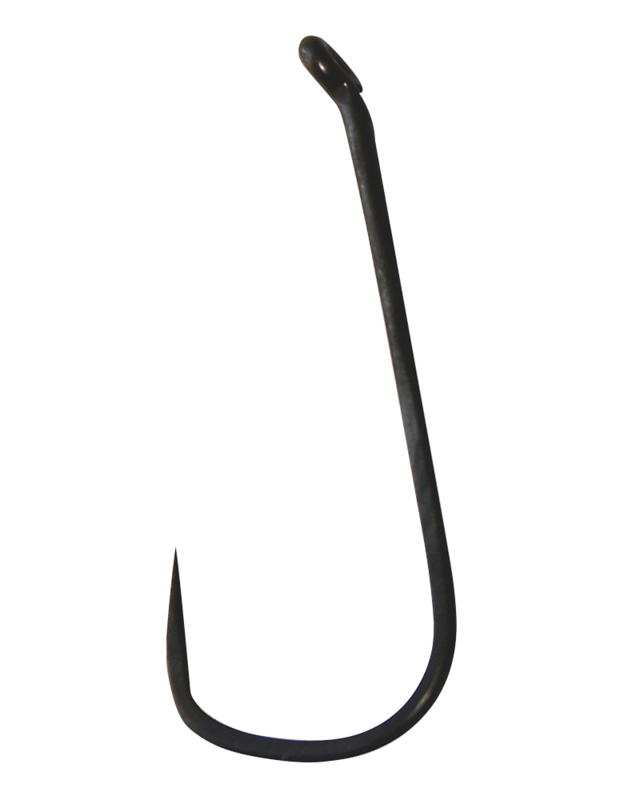 The R18-B is a true barbless hook. 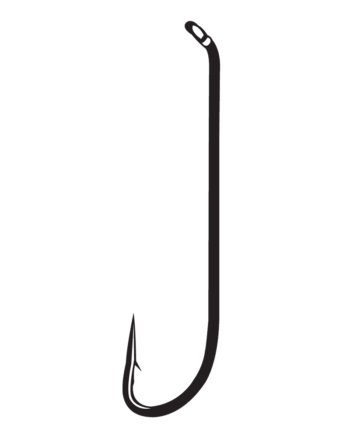 That is, it was designed from point to eye as a barbless hook, not just a hook that has the barb removed. That’s why the unique shape of the R18-B. 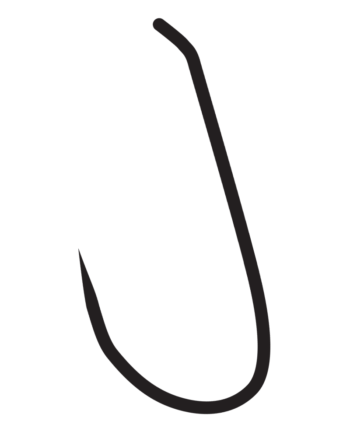 The “R” refers to “retainer bend” which holds hooked fish significantly better than conventional round bend style hooks. Beyond design is strength. 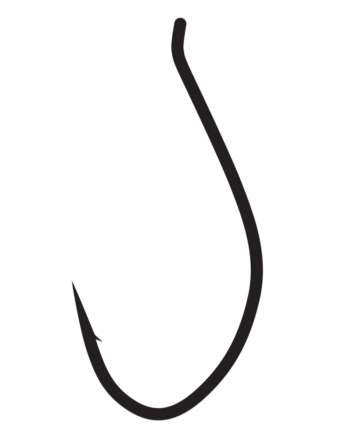 The R18-B is made from 2X heavy Gamakatsu wire that’s ideal for use with big fish. Anglers fishing big trout in tailrace fisheries using small flies have asked for a heavier wire hook and Gamakatsu answered with the R18-B. 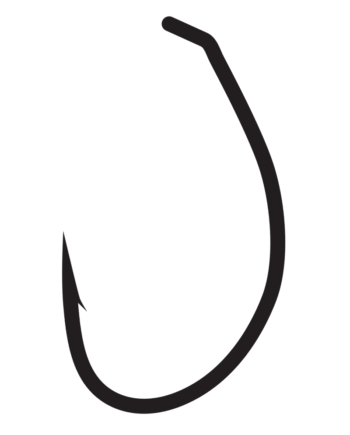 But make no mistake about it, this is a multi-use, multi-species barbless fly hook that will surely find its way into hundreds of fisheries and millions of fly boxes.